WASHINGTON - May 17, 2016 - PRLog -- After 6 Media LLC., a global communications leader operating as a full service media relations and project management firm, is pleased to announce mental health professional and concierge therapist Deborah King of Limitless Life Recovery to its client roster. Ms. Deborah King is the daughter of legendary boxing promoter Don King. Because of her father's notoriety it is important for Deborah to expand the King legacy by making it relevant to the 21st century. Having once struggled with substance abuse and overcame the addiction with victory, Deborah King is an ambassador for recovery and desires to incorporate mental health and substance addictions programs under the King vitae as it is crucial to the current times. According to Ms. King, "My father has accomplished so much in his life; he is known globally and has made a tremendous impact on society. He has created a foundation and I believe it is my duty to build upon the greatness that he has established. Aside from the boxing empire he has built, he is a man with immense historical knowledge, has a heart for humanitarianism, and is the most patriotic individual that I know. Like my father, I share the same values and I think it is important that I carry on the tradition of making a positive difference. I've had my share of struggles and setbacks but I have re-established my life and reputation on saving lives and promoting second chances. This is what re-branding is really all about because anyone can start over and change their life for the better." Deborah is a graduate of John Jay College and has a Bachelor of Arts degree in criminal justice with a minor in Forensic Science, holds a masters degree in Mental Health Counseling from South University, and is a certified Intervention and Recovery Life Coach. "After 6 Media is pleased to handle Ms. King's public relations and re-branding needs. Ms. Deborah demonstrates an extreme passion and drive for empowering the recovery process and preparing victims of substance addictions with the necessary tools needed to thrive in the world around them. 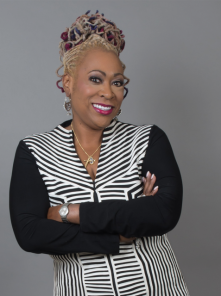 Because of her professionalism, strong faith, and hunger to help people live better lives it is without a doubt Ms. King will impact those she comes in contact with," says founder and principle consultant Guernica D. Williams. Limitless Life Recovery is a Miami based addiction recovery practice dedicated to using modern recovery methodologies, technologies, and resources to help clients become successful in their path to reestablishment. With a diverse team of top-rated professionals, Limitless Life provides intervention and rehabilitation services while tailoring strategies to the specific needs of individual clients. The Limitless Life Recovery team renders hope and addiction recovery to professional athletes, celebrities, and executives. For more information on Deborah King please visit www.limitlessliferecovery.com. After 6 Media LLC. is a global public relations and promotions agency who vigorously campaigns to develop and build credibility and understanding of the client's profile, brand, product or organization. After 6 Media LLC. offers an array of marketing and media relations services in sports, entertainment, and marketing. After 6 Media LLC. publicizes and strategically leverages the right exposure in order to bring opportunities that generate revenue. For media, appearances, speaking engagements, or inquiries please contact 410.340.4503 (mailto:guernica.williams@gmail.com).